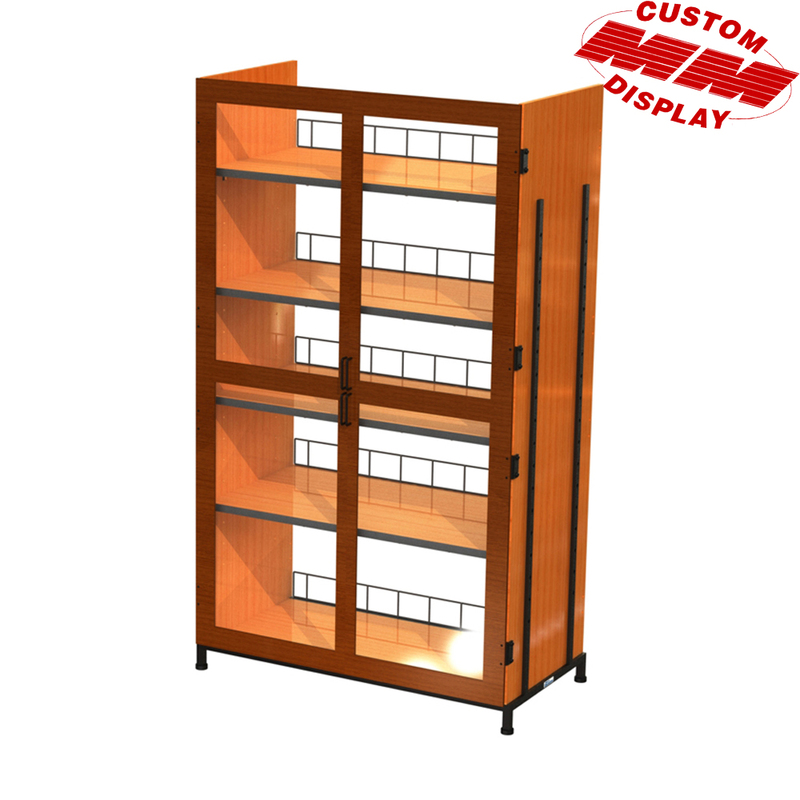 This is a rendering for a 82'' Locking Cabinet that we could create here at Mobile Merchandisers. We have a large number of materials to draw from and a talented design team to bring those idea to life. Call us up today with a few ideas, we will create a rendering and quote for your future product.